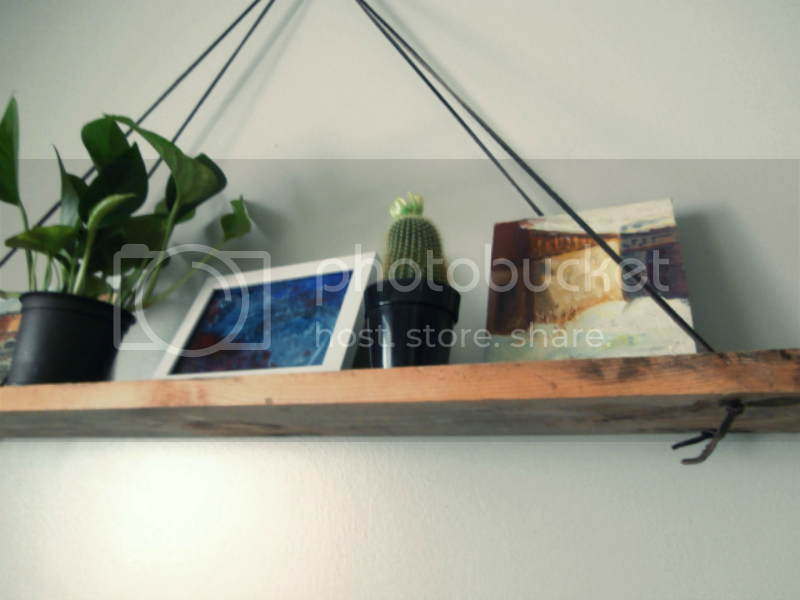 i thought i would kick thursday off with this diy hanging shelf. it was so easy to make that i completed it before taking any step by step pictures! trust me, you won't need them. +decide how far in from the edge you would like your holes using your tape measure and mark them off with a pencil. +drill your holes. i would start with a small drill bit and test to see if you can run the shoelace thru. if not, slightly increase the size. don't make the holes too large as the knots you will make to keep the laces in place will pull right thru. +starting on one side, place each end of a shoelace thru a hole (repeat on the other side) and knot each underneath your board. 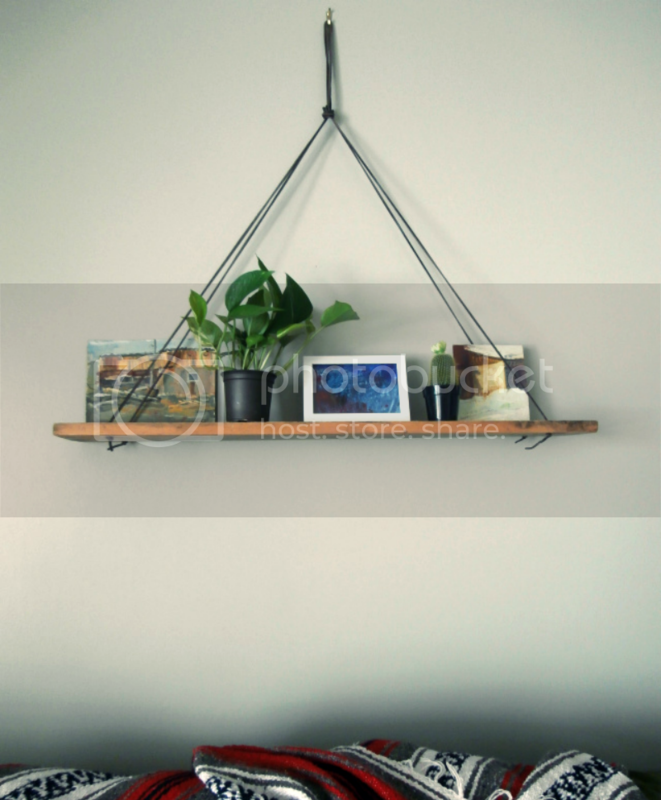 +gather your shoelaces tightly at the top and decide how low you would like the shelf to hang. +knot your laces together and use the loop created to hang on the wall. 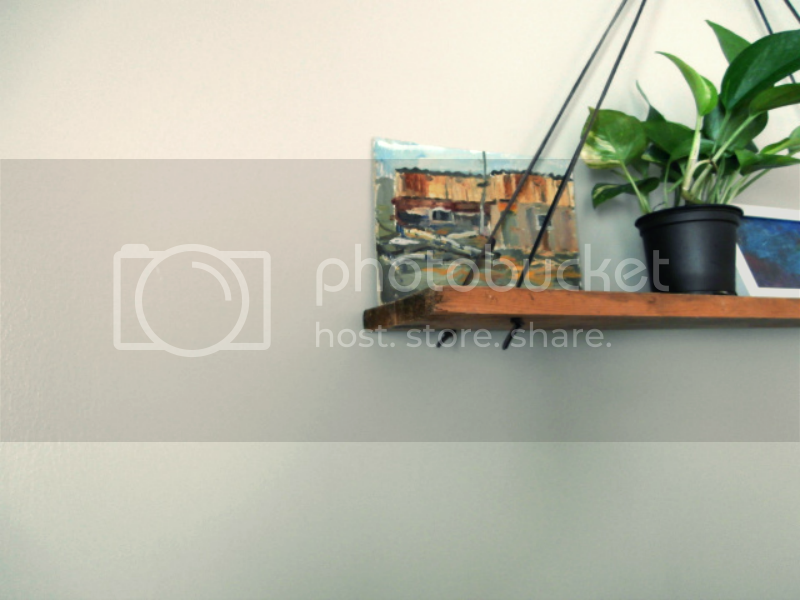 this can be made in a short amount of time and you can be creative with your shelf by adding a little paint or wood stain that best compliments your style. and if you have extra materials, make another. a pair of these would look great hanging together. framed post card from this artist.